He has performed in over a dozen different countries, and is at home performing to rowdy weekend comedy clubs as much as to his own cult following..
A natural fit at music festivals, he has performed stand-up at Glastonbury, Download, Leeds and Reading, Bloodstock, Latitude, V-Fest and supported Amanda Palmer, Les Claypool and once even the Kaiser Chiefs at the London Palladium. 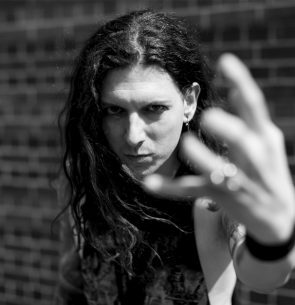 He is a founder member of the Victorian-obsessed punk band The Men That Will Not Be Blamed For Nothing, whose distinctive anachro-punk gained a cult following and besmirched the stages of music festivals worldwide. O’Neill has written and toured a tonne of solo comedy shows, including Occult Comedian, Winston Churchill Was Jack The Ripper, MINDSPIDERS, Alternative, Andrew O’Neill is Easily Distracted and the current Andrew O’Neill’s Black Magick Fun Hour.